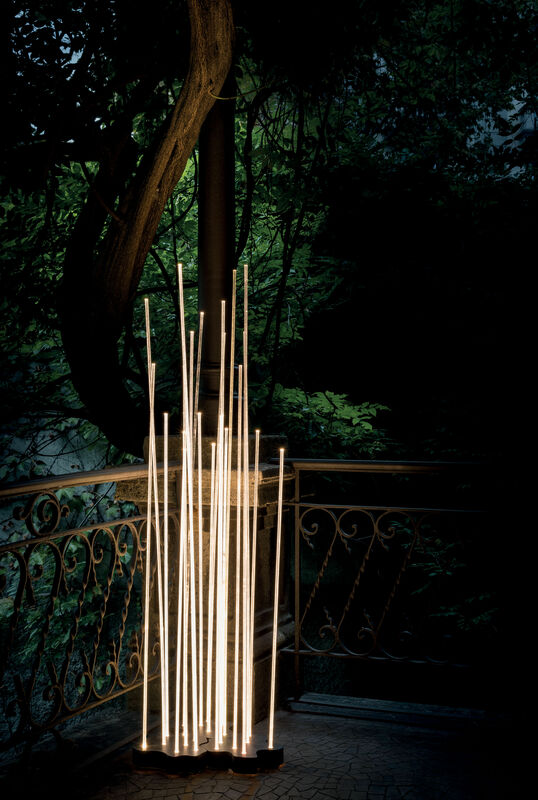 Enchant your garden or terraces with this poetic light sculpture evoking a dreamy plant world. These seven long luminous stems of different heights look like roses... The LED sources (included) on the base spread the light in the entire length of the transparent PMMA stems. 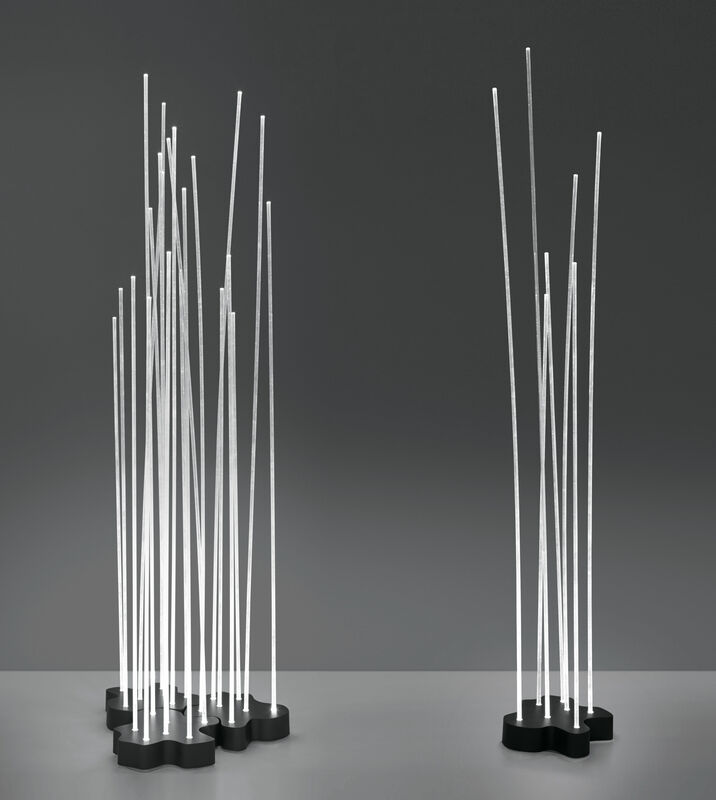 Reeds floor lamp provides very decorative, out of the ordinary lighting. The wavy, fluid forms of the steel base allow you to put several Reeds next to each other and thus create magical compositions.